The smithy called Bodénsmedja was built in 1893 and was somewhat larger and better equipped than most smithies on the farms of those days. After a while, it developed more and more into a professional smithy. 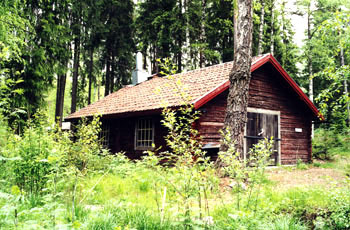 It was donated to the homestead museum in the 1970s and moved to Kollsberg in 1982. Open daily in summertime, 10 June-18 August 2019 from 12.00-17.00 hours, otherwise during events and by appointment.